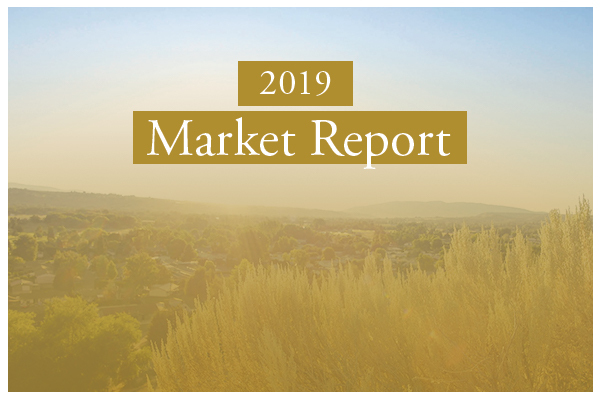 It was another 🔥hot 🔥market year for Yakima in 2018 but what's in store for 2019? Several opinions and factors weigh on what’s to come. Last year in 2018, home sales were breaking records, realtors were working multiple offer listings on a regular basis and inventory was limited. Home values rose significantly this past year, up 12% from 2017. Finding the median home value around $233,000. The forecasted home value is predicted to increase by 2% in 2019. Inventory for housing is relatively low which in turn makes demand high increasing home values. According to Realtor.com’s December market report, homes are averaging 66 days on the market. This caused the housing inventory to move 10% faster than in 2017. Interest rates increased almost a full percentage since last year, looking similar to the standards found in 2010. As interest rates rise and spending slows this shift keeps the market from overheating; continuing the ebb and flow of the economy. Yakima is a growing community with the lowest unemployment rate since 1990. Low unemployment typically boils down to more home buyers. As more buyers enter the market, this lowers the housing inventory and increases housing costs — a cycle that can certainly carry over into 2019 and sustain the past year’s increase in home values, if the market stays healthy and interest rates remain moderately low. In the lower valley, we see a similar story. Sunnyside home values are at $184,700, up 14.7% from last year. The home value is forecasted to increase by 2.3%. It will be interesting to see where the New Year brings us, but the current landscape is looking optimistic overall.